Yaletown and West Vancouver , none are as good as Carmen at Posh. I love the fact that my dog is not stressed upon drop-off or pick-up. grooming process. I love this personalized, individual attention . “Carmen is kind, caring and always happy. She just has a way about her that makes you smile. All this works to her advantage as a Dog Groomer. 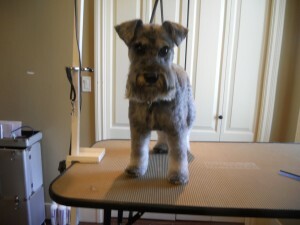 I have been taking my baby, Darby to Carmen for almost a year now for regular 8 week grooming. 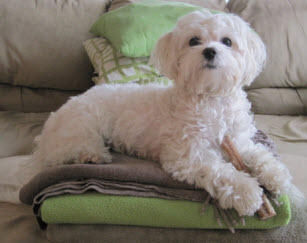 She does an amazing job making my 10lb, malti-poo look absolutely adorable each and every time. She also takes her time and attention to do the job correctly, with patience and an abundance of love. 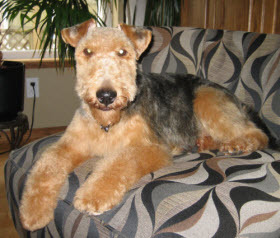 “She did the proper research to make sure that TJ was groomed exactly like a Welsh Terrier should be. Her grooming facilities provide a safe and relaxing environment and TJ cannot wait until his next appointment to see her again. well as any other dogs I may have in the future. She has a gentle and calmness that puts the dogs at ease. She connects with their personalities and her knowledge of the breeds is tremendous. She always and consistently, gives them the best style and care. My two dogs go every month and one time, Carmen told me that one of my dogs had an ear infection that I didn’t know about. I took both my dogs to the vet and they were treated and healed right away, thanks to Carmen. My Angel has never looked as cute until she came to “Posh Dog Grooming”. Everyone comments as to what a great cut she has (as far away as London. England.) My friend in London wanted to know if Carmen could go there to groom her dog!!! I was introduced to Carmen by a close friend a couple years ago. 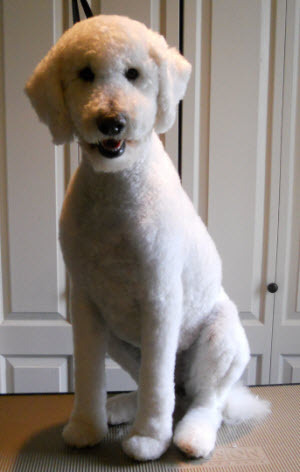 Since then I have always had my dog groomed by Carmen and even though I have to travel from North Vancouver, I find that it is well worth it! 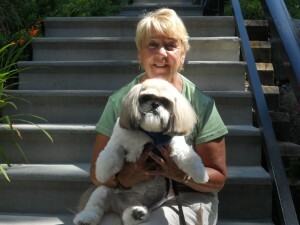 She is consistent and does both a wonderful job of grooming Georgie and of handling her in a very gentle way. 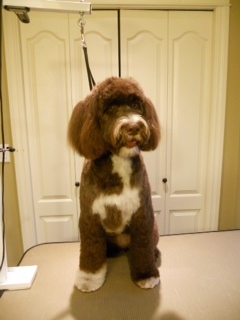 I have been coming to Posh Dog grooming since “Coco”, my Portuguese Water Dog was a baby. She is now 2 years old. I have moved to the Langley area and still would not have anyone else groom Coco. 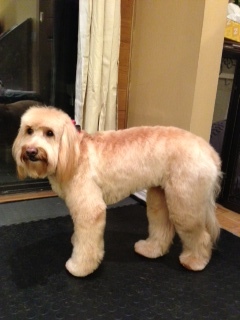 Carmen is kind, gentle and patient as well as skilled as a groomer. I do not care for the traditional Portuguese Water Dog cut and instead have Carmen cut her with a Spaniel cut. She looks adorable ! The other thing I would like to mention is that I work full time and Carmen is very accommodating to find a convenient time for Coco’s beauty treatments! Thanks Carmen.. Much appreciated. 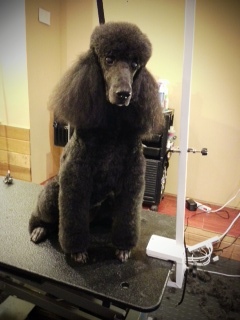 Pepper is a Standard Poodle. I am extremely happy and satisfied with all the work and services my Standard Poodle has received at “Posh Dog Grooming”. Every one is super nice and professional. I highly recommend this company to anyone with a pet. I love Carmen the owner. As Labradoodles are susceptible to matting as their hair grows, it is difficult to keep them looking good without daily brushing. Carmen does a fantastic job – especially of the paws, which always have a clean, sculpted look. When her adult coat came in just before summer, we had Carmen do a “short” cut. We had always liked the “moppy” look, but were very happily surprised when we picked her up. Her hair was short, but she still looked like a ‘doodle. Perhaps most importantly, when Tia goes for “detailing” she is always happy to see Carmen. She has a great rapport with the dogs and that is why we have no hesitation to recommend her when people ask us for a good groomer. 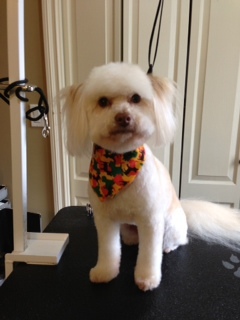 We are thankful for Carmen at Posh Dog Grooming! Our little maltipoo deserves and gets V.I.P. treatment from Carmen. We are assured that Carmen treats our little Mia with great love and kindness even with some tangles that are bound to occur! Mia is relaxed and happy in Carmen’s care. 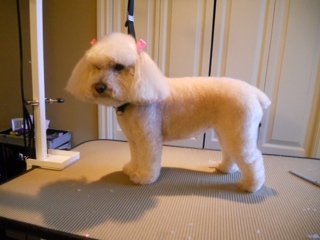 Her coat looks gorgeous when her appointment is over because Carmen has excellent skills and high standards. Carmen makes the whole experience inviting and honoring for both Mia and our family! We are lucky to have found Posh Dog and Carmen! 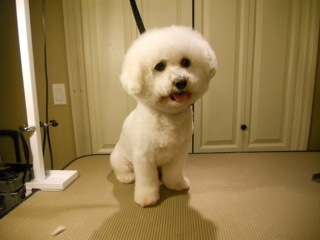 About a year ago, a friend recommend Carmen for grooming my Bichon. 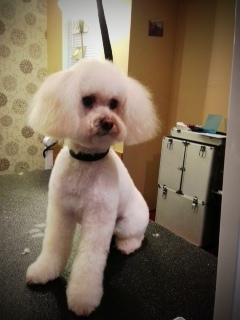 Doing a good grooming job on a Bichon is no small accomplishment! 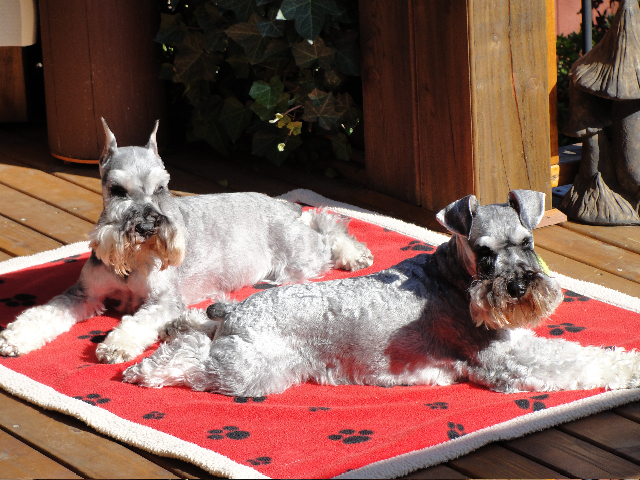 Over the five years of Reine’s life, she has been groomed by several professional groomers, and Carmen is definitely one of the BEST. 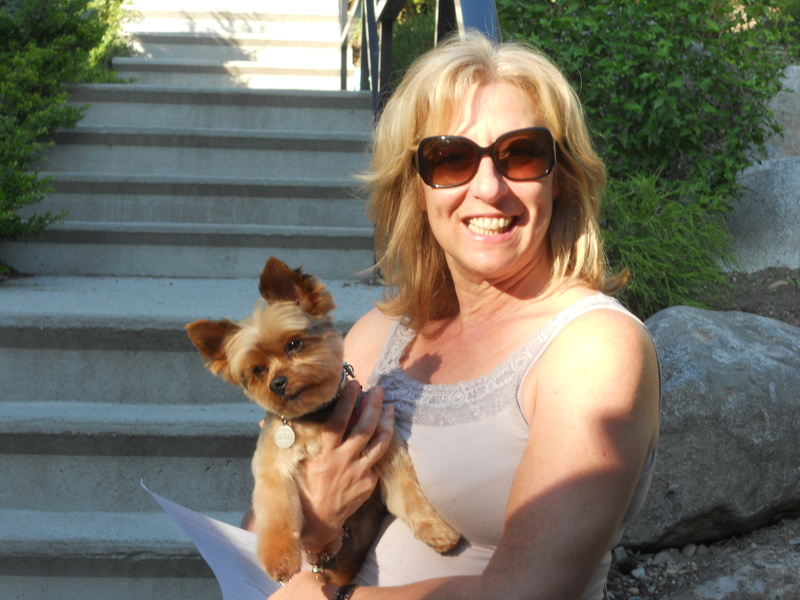 I have been completely happy with Carmen’s skills as a groomer, as well as her friendly manner and flexible attitude. She is truly a professional, and it is obvious that she loves grooming dogs. Carmen now also washes and does minor grooming on my Border Collie. He’s an old boy, and Carmen is very caring and gentle. I will continue taking my canine companions to Carmen, and I highly recommend her for your dog(s) too!! 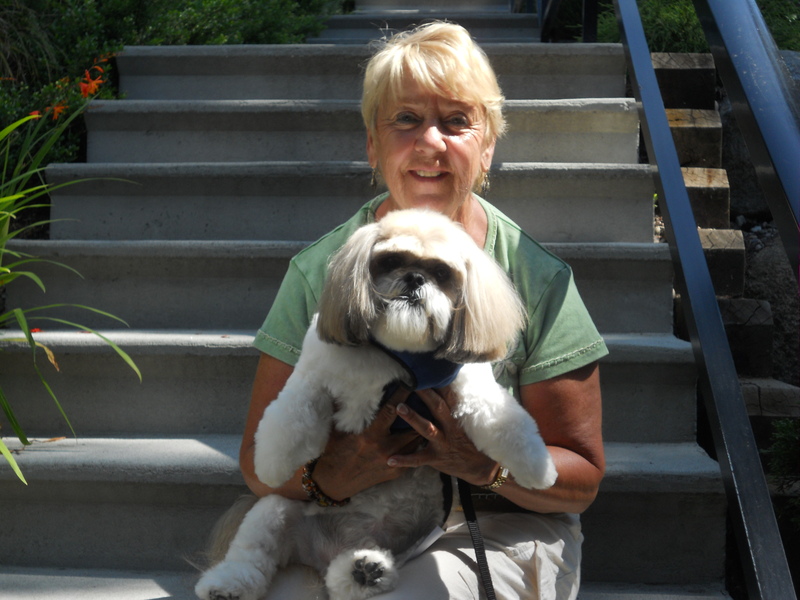 Carmen is simply the best pet groomer in town! I really recommend her job to anybody that wants the best care for their dog. She knows how to communicate with my Troy (a sometimes stubborn but adorable Shih Tzu) and make him look gorgeous and impeccable after each groom. 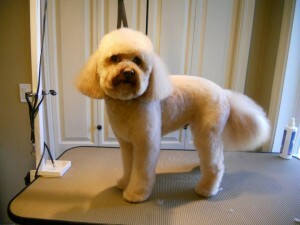 I trust these few client dog grooming reviews / testimonials will give you the comfort to have me groom your dog. Remember I have a 100% satisfaction guarantee on my work. If you’re not happy I’ll make it right or cheerfully refund your money, which has never happened. 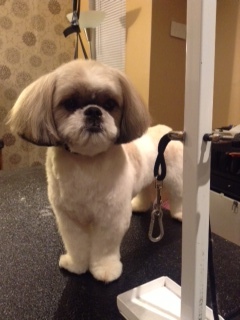 Details on my guarantee are here on the right side of the dog grooming services and fees page.